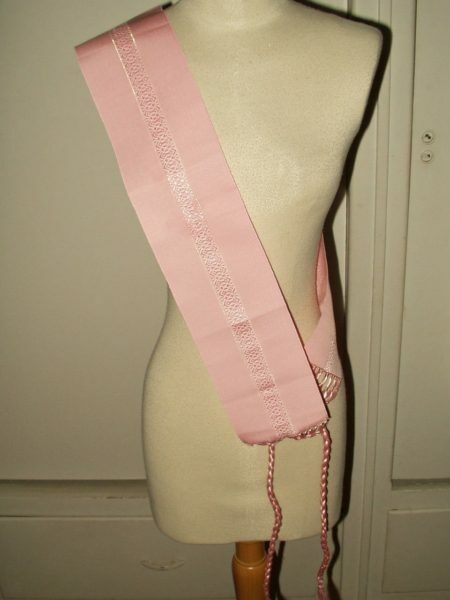 Here is a pink faille ribbon sash with long tied braided ends. Dating 1920’s. My guess, the sash was made for a ceremonial pageant, perhaps a graduation or something similar. More than likely worn over the shoulder, across the chest, then tied on the opposite side. The ribbon is a rayon or rayon silk, with a decorative center outlined in gold thread.